We can adapt our publishing material to your needs, in order to gain new customers and maintain customer loyalty, and for business promotions, etc. 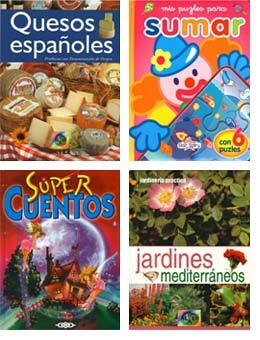 We can translate our books into various languages. Example: We have published books under the imprint of an important laboratory group, as well as with big distribution chains, where the main objective is company advertising and customer loyalty. For information please send an email to general@servilibro.com and we will send you a proposal.